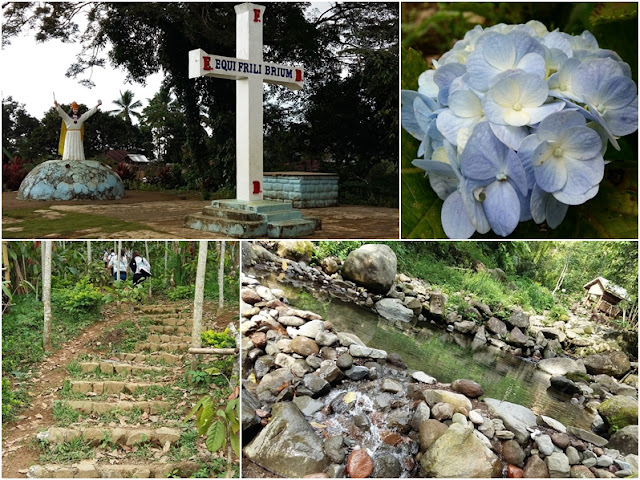 Our mission of exploring SOCCSKSARGEN continues.. 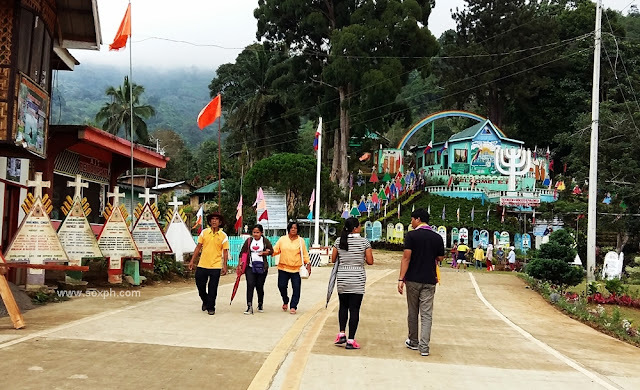 Yesterday, I finally able to visit one of the must-visit destinations in Region 12- the New Israel Eco-Adventure Park in Brgy. New Israel, Makilala, Cotabato Province. Located at the foot of Mt. Apo, the country's highest mountain, New Israel Eco-Adventure Park is home to members of the Moncado Alpha and Omega Peace Crusaders Missionaries Inc, a nationalistic-patriotic quasi-religious organization, hundreds of tamed monkeys, and where the longest zipline in Asia can be found and enjoyed. A perfect place for adventure seekers, backpackers and for family bonding. At least 400 households in Brgy. 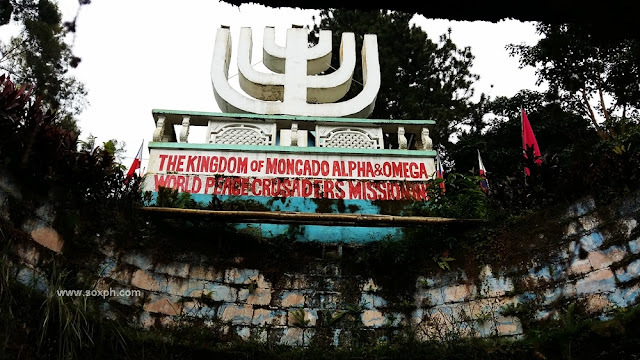 New Israel are "Moncadistas" or members of the Moncado Alpha and Omega Peace Crusaders Missionaries Inc founded by Maximino Guibernas in the 1950s. According to our tour guide, Moncadistas also believes in Jesus Christ, but considers Jose Rizal a prophet. These can be observed in stone monuments scattered all over the area with teachings of Jose Rizal. Will stay a little longer next time and immerse with the community to learn their traditions and beliefs. I've learned that they are offering homestay for as low as P500 per night. The tamed Philippine Macaque monkeys are another attraction in New Israel Eco-Adventure Park. They're almost everywhere and are already used to visitors feeding them. 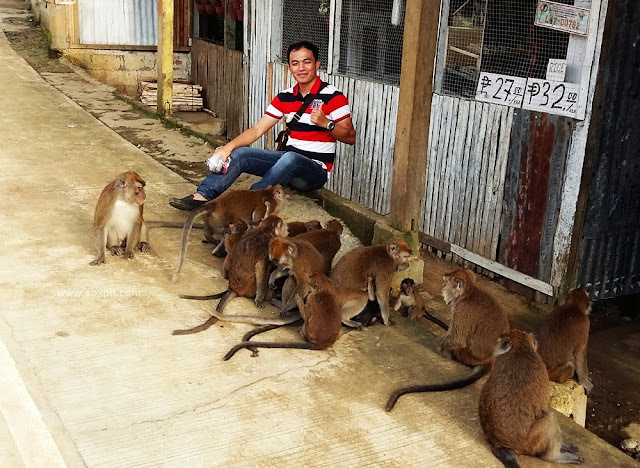 For the Moncadistas, these tamed macaques are already part of their community. They also believe that these monkeys are also protecting them. The main attraction at New Israel Eco-Adventure Park is the 2.3-kilometer zipline which I really enjoyed during our visit. 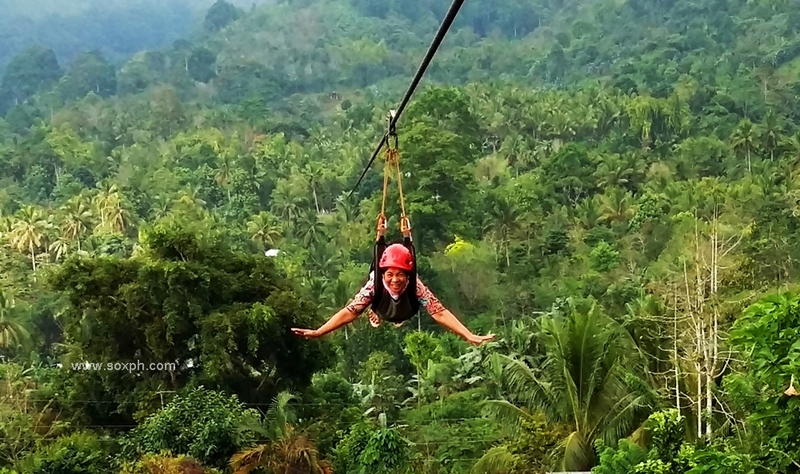 It is considered as one of the longest zip lines in Asia and is now among the top destinations in Cotabato Province. The New Israel Eco-Adventure Park zip line is composed of two lines. The first line measures 1 kilometer and the return line for the second landing is 1.3 kilometers in length. 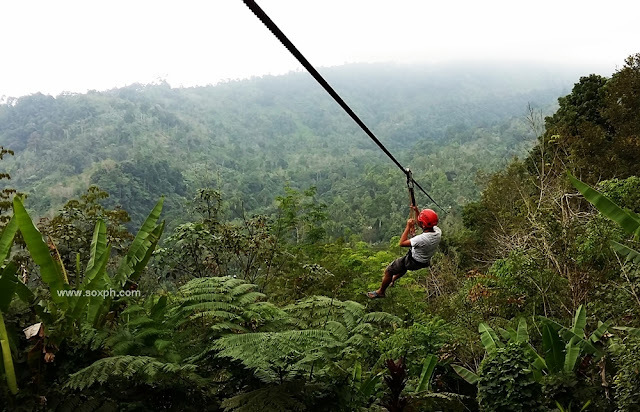 Other things to see and experience in New Israel Eco-Adventure Park includes horseback riding, trekking/ 361 steps challenge to the zipline area, flower gardens, the Moncado Rainbow Shrine Prayer area, centennial trees, civet coffee and salad veggies, view deck and camping sites, Pangagawon Healing River/ Fountain Experience, Mt. Zion Spiritual Journey or the trek to White Cross, Makalangit Point, Lake Jordan and to Mt. Apo. 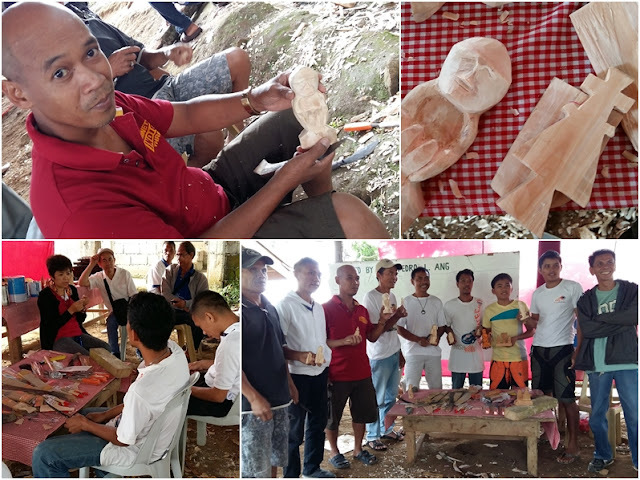 The Department of Tourism Regional Office 12 (DOT-12) has recently conducted Souvenir Making Training for residents of Brgy. New Israel. Participants were taught how to make key chains, ref magnets and other souvenir items. They were also provided with tools and other necessary materials for their new livelihood. So, don't forget to buy souvenir items when you visit New Israel. The New Israel Eco-Adventure Park is very accessible to all type of land vehicles. 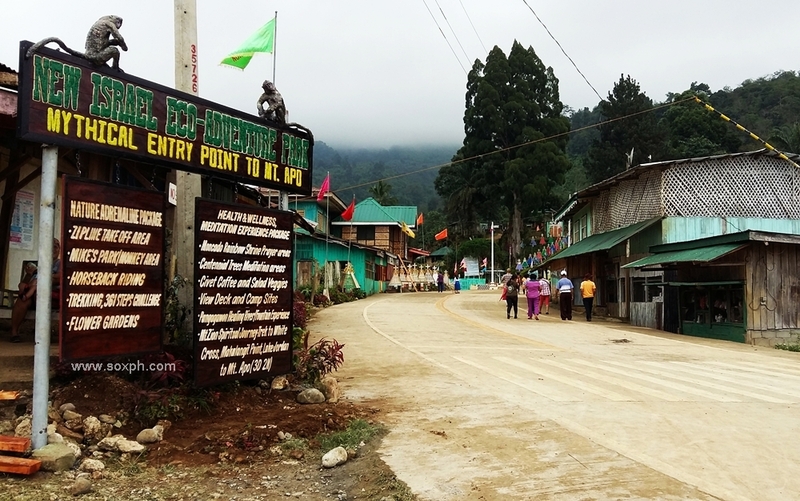 Thanks to the newly completed 3 kilometer tourism road project of DOT and DPWH from Brgy. 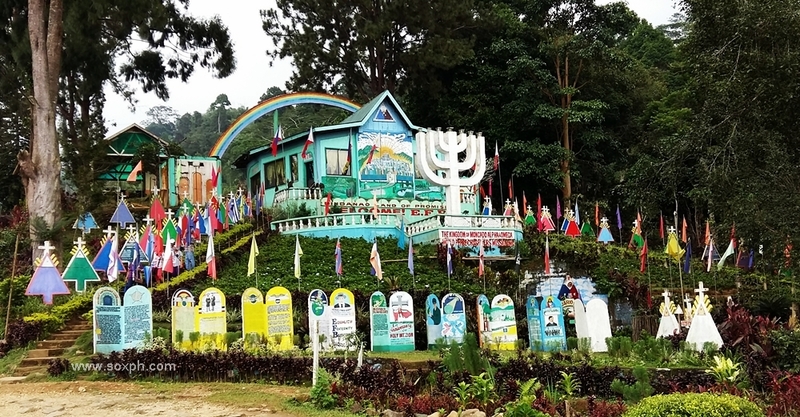 Balantukan to New Israel. From Koronadal City, take a van to Kidapawan City and ask the driver to drop you off in Makilala town proper. Travel time is about 2 hours. From Cotabato City, take a van to Davao City or take the Weena Bus and drop off in Makilala town proper. Travel time is also about 2 hours. From Makilala town proper, take a 20-minute jeep ride to Barangay New Bulatukan. Then enjoy the 15-minute habal-habal ride going to New Israel Eco-Adventure Park.